With 5G use cases placing more demanding requirements on the networks, Ericsson is strengthening its end-to-end mobile transport solutions by building on its radio expertise and adding best-in-class transport technologies from Juniper Networks and ECI Telecom. Alignment between the radio, core and transport layers of the network has never been more critical to meet the requirements of 5G use cases such as enhanced mobile broadband, fixed-wireless access, and massive and critical IoT. In this environment, transport needs to keep pace with the rapid radio and architectural evolution in 5G networks. With its focus on transport between radio and core functions, Ericsson delivers transport portfolios specifically for backhaul and fronthaul. Ubiquitous transport solutions for both 4G and 5G are gaining strong momentum with service providers and Ericsson's flagship mobile backhaul product - Router 6000 - empowers close to 60 operators. 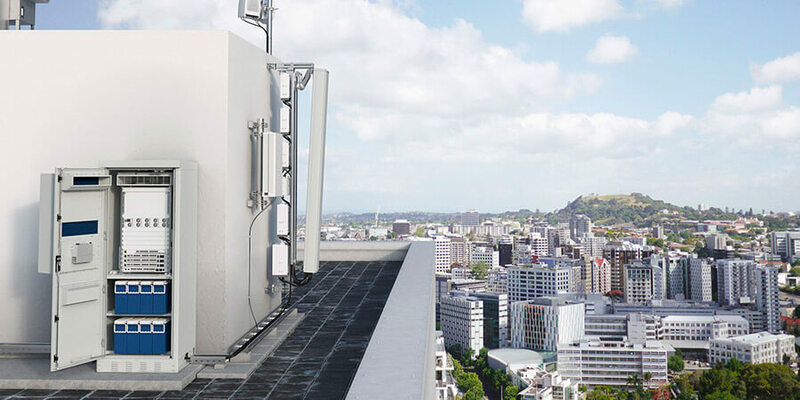 More than 110 operators also use Ericsson's 5G-ready microwave technology, MINI-LINK solutions. To bolster its end-to-end 5G transport portfolio, Ericsson is now extending its partnership with Juniper Networks. Ericsson's Router 6000 product family will be complemented by Juniper's edge and core solutions, providing seamless connectivity from radio cell site to core, thereby guarantying the performance, quality and ease-of-use of the 5G system. Juniper's security products will also be part of Ericsson's solution to secure its customers' mobile networks as part of its end-to-end approach for securing existing and new 5G networks. Ericsson is also complementing its optical transport offering for metro with a new partnership with ECI, a global provider of elastic network solutions. With ECI as partner, Ericsson will be able to deliver newly-enhanced optical transport solutions for service providers, as well as critical infrastructure customers. Fredrik Jejdling, Executive Vice President and Head of Business Area Networks at Ericsson, said, "Our radio expertise and knowledge in network architecture, end-user applications and standardization work put us in an excellent position to understand the requirements 5G places on transport. By combining our leading transport portfolio with best-in-class partners, we will boost our transport offering and create the critical building blocks of next-generation transport networks that benefit our customers." The transport solutions from Juniper and ECI are fully interoperable with Ericsson's transport portfolio and will be managed by the same Ericsson management and orchestration solution. This will simplify the overall management and control of 5G across the radio, transport and core network. The management and orchestration solution will also provide integrated software-defined networking (SDN) control for Ericsson, Juniper and ECI nodes, enabling automated network control for applications such as network slicing and traffic optimization, to ensure the best possible user experience. Ericsson also announced new transport solutions adapted to create an integrated and complete Street Macro solution for millimeter wave 5G deployment. Heidi Adams, Senior Research Director, IHS Markit, commented, "Mobile transport infrastructure is critical for securing peak 5G radio performance and enabling the promise of new 5G services. By complementing its microwave transport and IP backhaul solutions with optical transport, edge, core, and security platforms from its partners, Ericsson will be well positioned to offer end-to-end, integrated mobile transport solutions aligned with the needs of new 5G radio and mobile core networks." Manoj Leelanivas, Chief Product Officer, Juniper Networks, noted, "Commercial 5G is expected to represent close to a quarter of all global network traffic in the next five years. With both companies bringing together industry-leading network technology, Juniper and Ericsson will be able to more effectively capitalize on the immense global market opportunity in front of us and help our customers simplify their journey to fully operational 5G networks." Darryl Edwards, CEO and president of ECI, said, "Telecommunications services and networks are changing faster than ever before with the new functionalities and demands brought on by 5G. ECI's open, elastic networking solutions are designed for these changes and complement Ericsson's offering perfectly. This partnership will enable both parties to address a growing customer base with a more competitive and comprehensive offering."